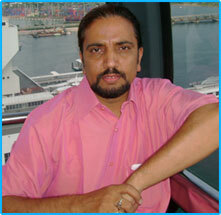 Mr. Prem Sagar Handa, CEO of the "HANDA ENTERPRISES". He has done a vast Research & Development work & has 30 years experience in manufacturing field. "HANDA ENTERPRISES” name was chosen for the company to inculcate in our mind and to remember always that our aim is to deliver high quality and precise solutions vis-à-vis client requirements.